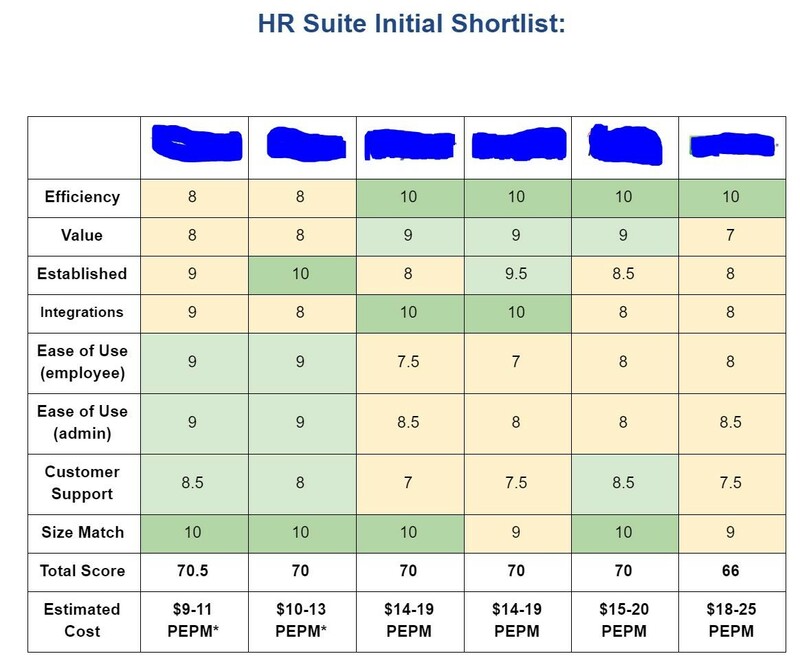 Most HR professionals don't go through an HRIS selection process very often. Some of this can be explained by the fact that things are working well, and you shouldn't fix what isn't broken. Building a requirements list can be monotonous and time-consuming. Cultivating a shortlist opens Pandora's box of follow-up sales emails. 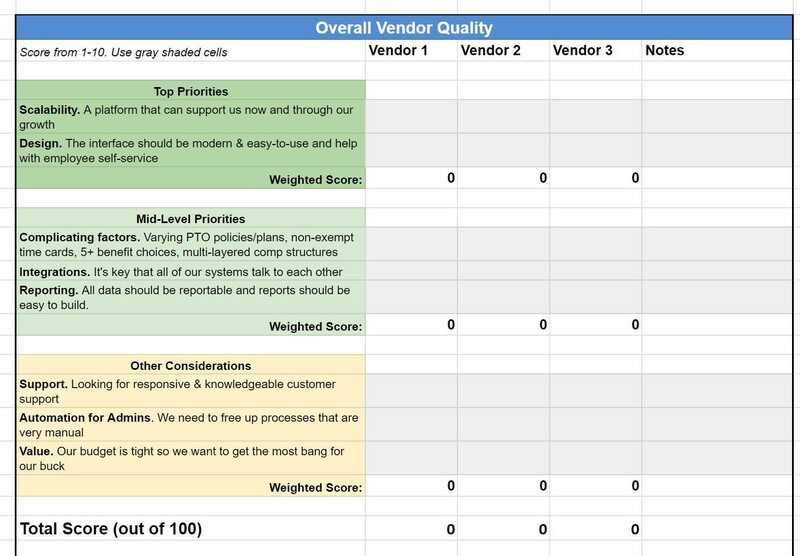 Comparing vendors can be challenging when all claim to be "the best option on the market". Getting executive sign-off can require threading a tight needle of want, need and vision. Having helped dozens of teams with their buying processes, here are a few of the practices OutSail uses to make the process less overwhelming, more efficient and more effective. It's really easy to get bogged down in specifics and functionality, but save the details for the later part of your evaluation. In the early stages, it's important to zoom out. Take some time to imagine what a better operational experience would look like. Here are some of the questions you'll want to think about: "Where is the business heading? ", "What processes are holding us back?" "What are our buying priorities - design? automation? support? integrations?" If you want to see some of the high-level questions that we ask during a buying process, you might like this article: 8 Questions To Answer When Evaluating HR Systems. 2.) Build Out Your Requirements. Once you have a sense of your high-level priorities, it's time to translate those priorities into actual functionality. Once you have your high-level categories established, it's time to start building out your required functionality. Our team has developed a simple Requirements Builder tool that can help teams do this in 3-5 minutes. Now that you have a sense of what your winning solution looks like, it's time to head into the marketplace and see who stacks up. Missing functionality. Go to a vendor's website and see if they make all of the modules you need. Size match. Ask about a vendor's target market and look at their showcase customers. Do they work with companies your size and in your industry? Reviews. Online reviews can be as misleading as they are helpful. But make sure your finalists have at least a few dozen reviews with some positive takeaways. 4.) Start With Three Finalists. Don't overwhelm yourself at the start. Begin with three vendors that look to have the highest probability of success. If you don't like one, you can always add more later. Also, make sure your standardizing the review process and asking questions that are important to you. You don't want a vendor to go on and on about a shiny new feature that distracts from your real needs. We've found that HR team who come into evaluations with scorecards can increase their chances of finding a winning solution. 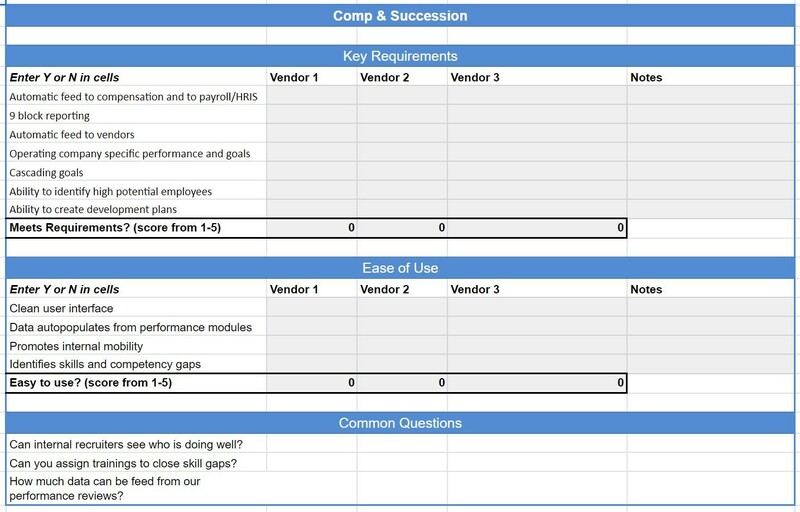 A good scorecard, like the one we built below, can help keep track of functionality, make sure you ask the right questions and automatically weigh certain priorities more than others. 5.) Check Reviews and References. Once you're moving close to a decision, it's always a good idea to ask your vendor of choice for references. Specify that you want to speak with customers who are of a similar size and industry and have been live on the system for over a year. In addition to getting references through your vendor, you'll also want to do some research on your own too. 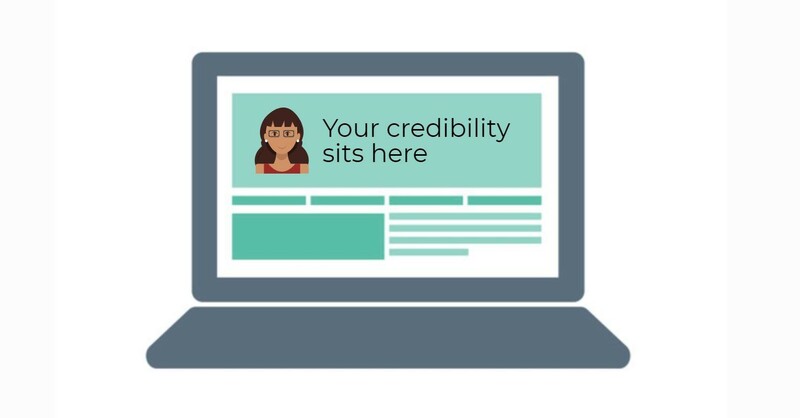 Look to online review sites, such as G2Crowd or Capterra, where you can narrow reviews down by industry and size. Also, be sure to dig around in your network and social circles to see what peers have to say! The buying process doesn't have to be overwhelming. These easy-to-borrow steps can help you be deliberate, thorough and efficient. It can be hard for HR teams to keep an eye on new technologies. Here are the 8 that OutSail finds most interesting and who they work best for! “Wait a second -- Did someone just have a brilliant idea?” What early adopters are saying about OutSail. Since the vendor broker model is new to the HR space, we decided to share the five most important ways that having a vendor broker can save your HR team time and money. We help HR teams compare, evaluate and select new HR technologies. And we do this at no cost to HR teams, ever.